Weltatem combines Opera with Virtual Reality! In this colorful multidisciplinary project Monobanda worked together with Opera singers, theatre designers, costume designers, voice coaches, and technical artists. Together with VR group Wildvreemd, the goal was to create a theatrical experience where the audience is participating and singing together with professional opera singers. In this opera show 30 audience members put on VR helmets and play a game that they control with their voice. This dreamlike game asks them to sing, modulate, and harmonize. At the same time, the sound that these players make creates a musical composition together with the singing of the real opera singers. Which in turn becomes a haunting experience for the onlooking audience that sees individual amateurs slowly becoming one with a opera choir. 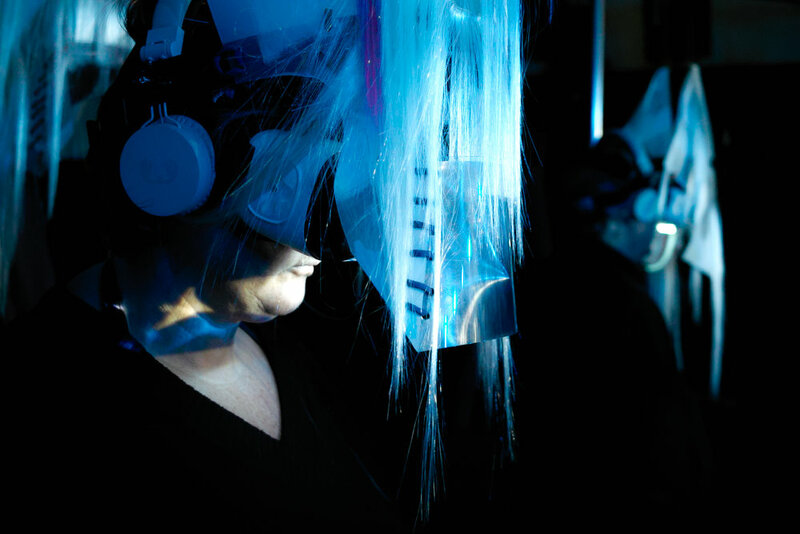 Weltatem has been featured in IETM's publication "Mixed Reality and the Theatre of the Future" as a groundbreaking example of incorporating virtual reality in a unique theatrical experience where different worlds meet. We are also thankful to TV Enschede and Concerto Media for the video material.